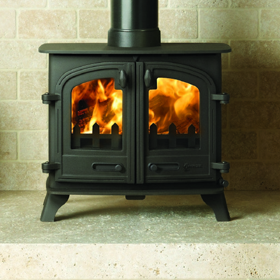 The Desire gas stoves are distinctive by their large glass windows that perfectly frame the dancing flames within. 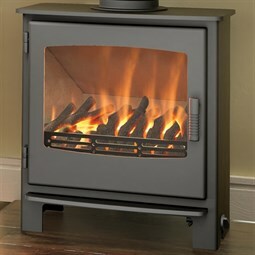 Built from steel, the Desire has a smooth Matt Black finish with a stylish and realistic log bed. 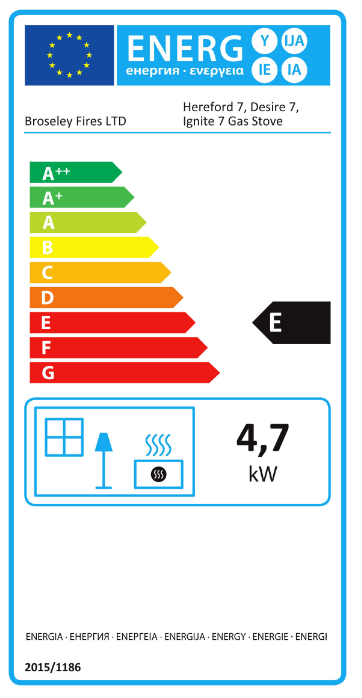 With impressive efficiencies you can control the heat output perfectly and furthermore the effect is almost instant – all you need to do is choose which size Desire suits your fireplace and room. 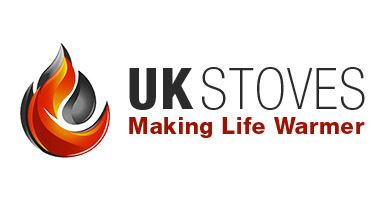 When purchasing this stove you may want to consider your gas liner. 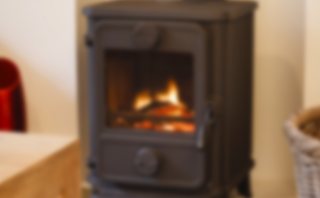 Broseley stoves can be flued with a liner of the same diameter as the connecting flue pipe. 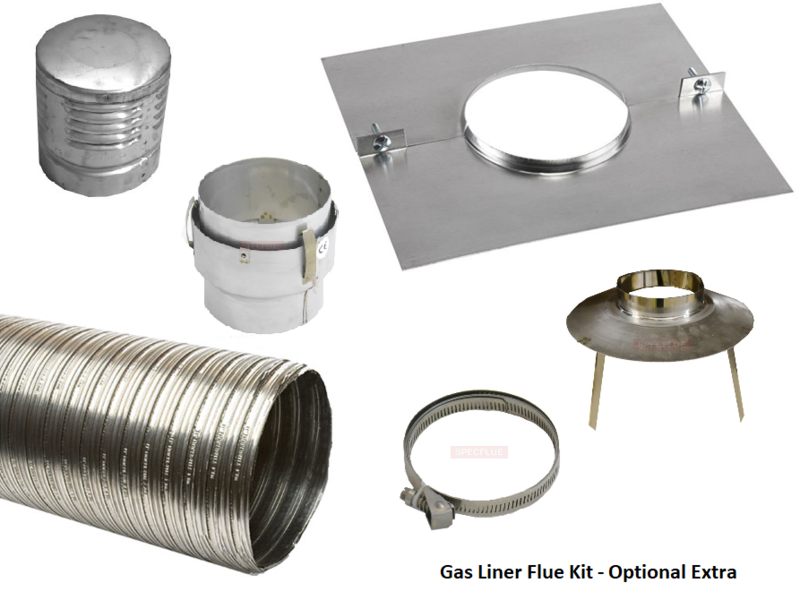 Within our package you will receive the required meterage of flexi liner, a top plate, clamp and gas terminal.